These tiny devices use a raft of sensors to deliver actionable insights about your surroundings. Koto Labs’ Cubesensors aim to help you ensure your smart home is also a healthy home. The company recently launched an Indiegogo campaign to help fund the initial production run of a new generation of its indoor environment monitoring devices: the $99 Koto Blink, the $149 Koto Air, and the $199 Koto Storm. 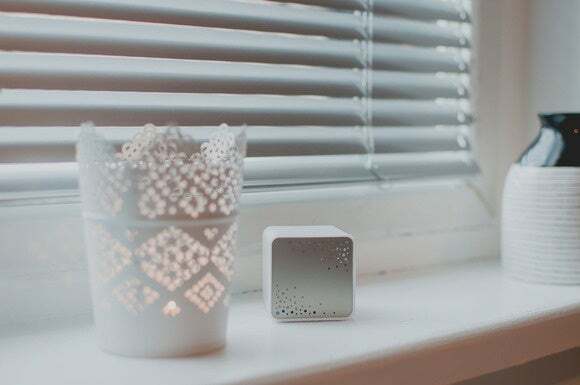 Each cube provides easy-to-digest insights into your indoor surroundings, notifying you whenever any of the onboard sensors detect unwholesome ambient conditions and, more importantly, suggests possible remedies (e.g., opening a window to bring in fresh air) based on those readings. 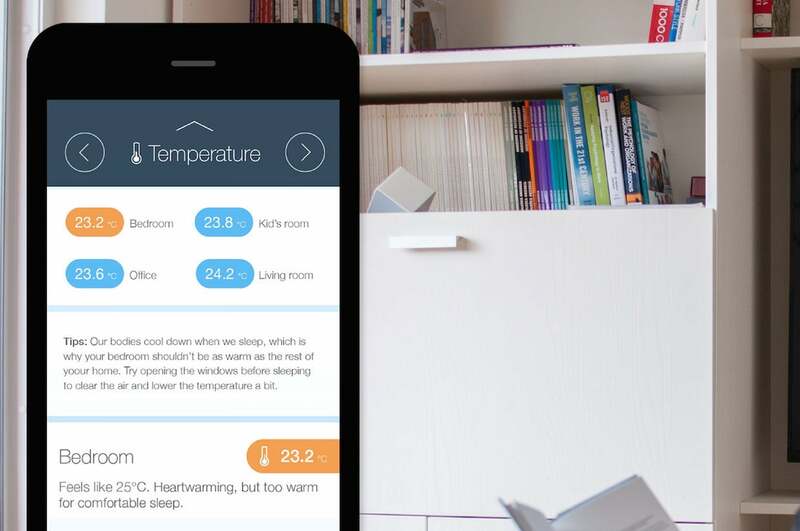 The Koto Blink has sensors for monitoring temperature, humidity, light, and noise. It packs enough built-in storage to preserve two weeks’ worth of readings. It is the only model to have a rechargeable battery, which, according to the company, is likely to require recharging only once every six months. For connectivity, this two-inch smart cube has Bluetooth Low Energy (BLE) and ZigBee radios. The Koto Air has the same temperature, humidity, light, and noise sensors found in its entry-level cousin, plus the ability to sniff out dust and air pollution, such as Volatile Organic Compounds (VOCs). Save for the two additional sensors and its dependence on a power supply, the Koto Air is identical to the Koto Blink in all other regards. It has the same amount of onboard storage and the same Bluetooth and Zigbee radios. The two even share a major limitation in that they can only sync data with your iOS/Android phone using Bluetooth only, versus the cloud (which would allow you to access the data when you're away from home). The Koto Storm sensor can act as a cloud-connected hub for other Koto sensors. It can also monitor the indoor temperature and humidity, among other things. That’s where the Koto Storm comes in. The only model with Wi-Fi, it’s meant to act as a sort of a hub for the other two Koto sensors, allowing them to log onto the Internet and provide you with updates even when you’re not at home. That doesn’t mean this model is a slouch in the sensor department, though. It packs the ability to monitor temperature, humidity, light, noise and barometric pressure, as well as the ability to detect approaching storms (to which it owes its name). You can pre-order the Koto sensors at deeply discounted prices from Indiegogo for delivery in March 2016. As of press time, the Slovenian company had raised more than $30,000 toward its $50,000 funding goal, with 17 days to go. This is a “flexible funding” campaign, which means the company will collect whatever funds are pledged, whether it reaches its goal or not. Why this matters: While these new devices are a lot like the sensor-packed smart “Cube” the company has been selling since January 2014, there are a couple of key differences. First, whereas their predecessor is limited to a single model, the Koto sensors come in three different flavors, each possessing a different set of capabilities. This is significant as you can now choose just the combination of sensors you believe would be best for your particular use case. Second, an additional “base station” or hub is no longer an absolute must as each of the three models can sync data directly with your smartphone over Bluetooth. And it helps greatly that the base station that’s on offer here is its own monitoring device. Owners of the company’s first-gen Cube sensors will be happy to know that the devices in the Koto family are compatible with their existing setups. They can, for instance, use a first-generation base station to sync readings from a Koto Blink or Air to the cloud. Likewise, the Koto Storm can be used to extend an existing network of Cube sensors. Another thing to look forward to is the upcoming launch of the Koto IFTTT (If This Then That) channel, which will enable both current- and next-generation devices to directly pass on instructions to programmable thermostats, smart lighting, and other connected devices.